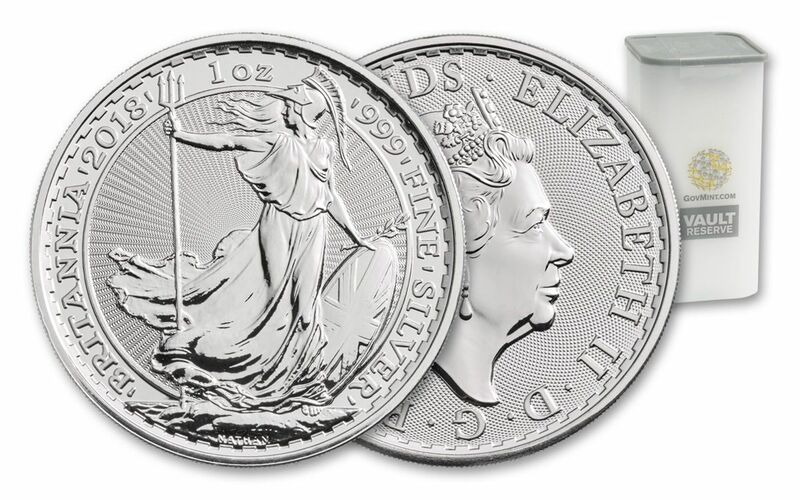 Set Sail for Beautiful Bullion -- the 2018 Silver Britannia Is Here! Britannia, the embodiment of a nation and icon of maritime sovereignty, has symbolized Britain for centuries, appearing on coins dating all the way back to the Roman Empire. More recently, her name and image have graced the United Kingdom's Britannia bullion coin series since 1987. Philip Nathan's design of Britannia walking along a wind-swept shore, trident in one hand with branch and shield in the other, won "Coin of the Year" honors for its debut. Originally starting as a gold bullion series, Silver Britannias began production 10 years later in 1997 with the same breathtaking design. Now, one year after its 20th anniversary, the Silver Britannia has returned for 2018! 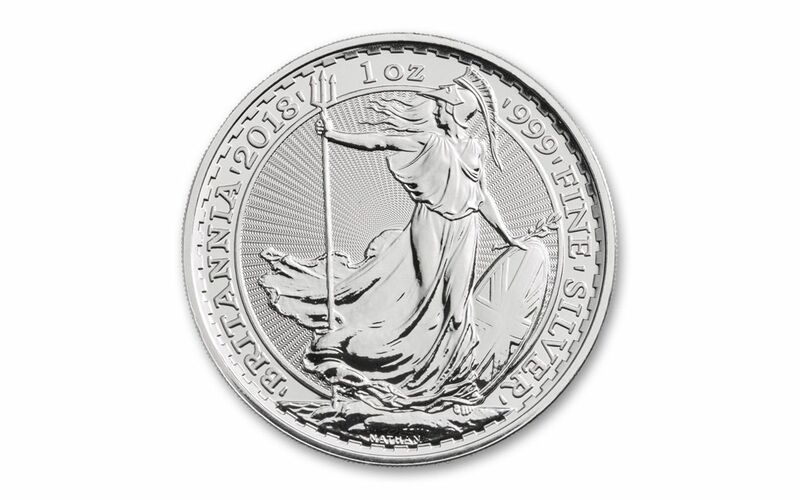 CLASSIC, ENDURING DESIGN-- Standing on Royal Mint bullion for more than 30 years, Philip Nathan's Britannia still continues to entrance with her focused gaze and lifelike detail. This 2018 Britannia signals the beginning of her third decade on the United Kingdom's silver bullion standard. EXPERTLY MINTED, HIGHLY PURE SILVER-- Each Britannia is struck in one ounce of 99.9% fine silver by the artisans of the Royal Mint, resulting in coins that exhibit superb details and beautiful, lustrous finishes. 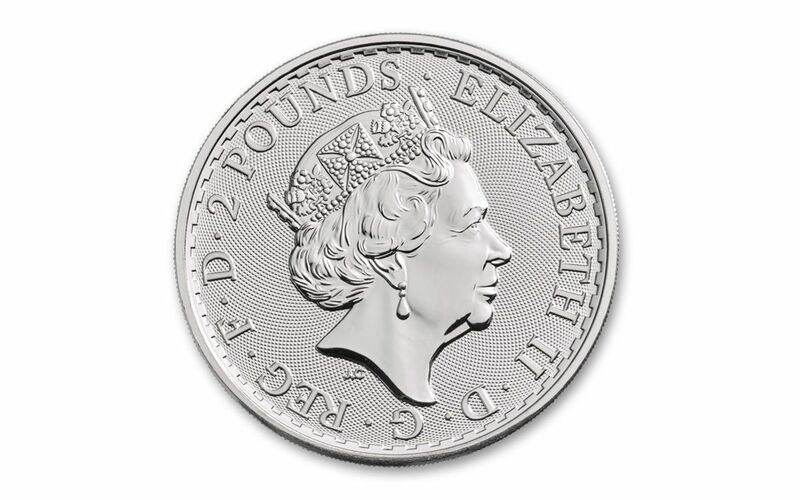 UK LEGAL TENDER-- Each 1-oz Silver Britannia is two pounds sterling United Kingdom legal tender, as struck into each coin's obverse along with Jody Clark's most recent profile of Her Majesty Queen Elizabeth II. This favorite of collectors around the world is met with high demand year after year. 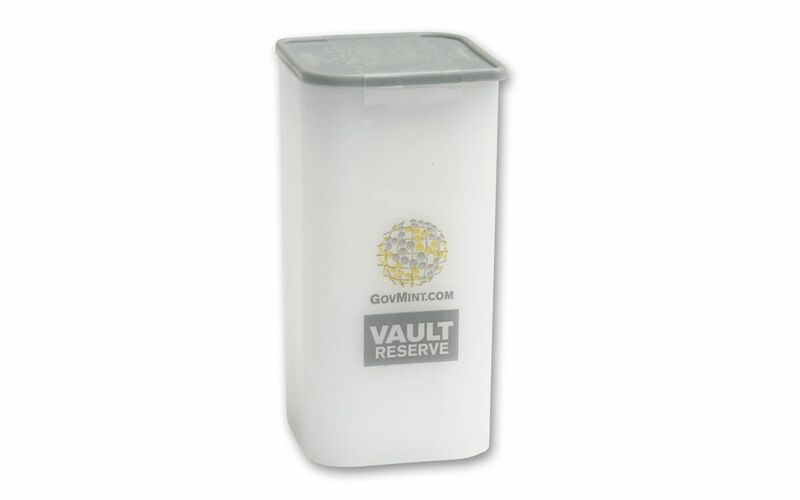 Don't miss out on this chance to secure your own tube of stunning Silver Britannias -- order yours today!